The rugged cliffs and natural beauty are not the only things that make Sark unique, and it can be useful to know a little about the island before planning a trip there. 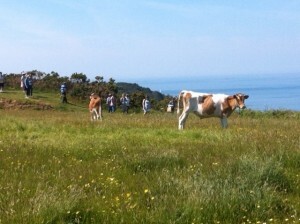 Firstly, it’s important to note that Sark is entirely car free. Given that the island only just over 2 square miles in size, this not only makes sense, but has almost no impact on travel. Instead, walking and bicycles are the most common form of transport, with tractor pulled trailers or horse drawn carriages the other form of transport. Already, it’s easy to see why Sark can offer such a peaceful and distinctive holiday compared to nearby Jersey and Guernsey (which are still reachable if you’re craving a high street visit). It’s also interesting to note that, while it should not have too much impact on your trip, Sark is not actually part of the UK officially, instead falling under the Bailiwick of Guernsey. As mentioned, this will have minimal impact on a holiday visit, but it can be worth double checking things like travel insurance cover and so on, just to be sure. Given the small size of the island, medical and emergency services are fairly compact, but more than adequate for a population of 600. All the same, if you’re not sure about how a visit might affect your travel insurance, then making a checklist of your concerns can be the best way to set your mind at ease. 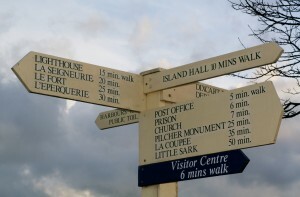 Sark has no airport of it’s own, but is easily reachable from Guernsey via ferry that takes around 55 minutes. This also means of course, that it is possible to island hop if you want to experience all of the Channel Islands during a visit. France is also possible. 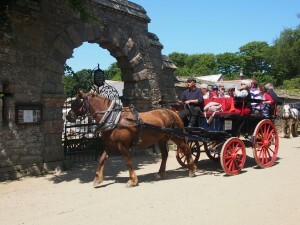 This makes Sark a great place to base yourself, and puts you in the unique position of being able to visit two very different locations whenever you choose without having to spend hours on a plane. Overall, Sark may be small, but the variety and opportunities that are available to tourists and visitors are entirely the opposite. Sark without doubt offers one of the most varied, yet peaceful holiday experiences available, especially for travellers from the UK or France.